Cherry Blossom Mother’s Day Bouquet – A feminine arrangement of pale pink Asiatic Lilies alongside hot pink Carnations, pink and white two tone Spray Carnations and white Freesias. Sunday 31st March 2019 is Mothering Sunday! 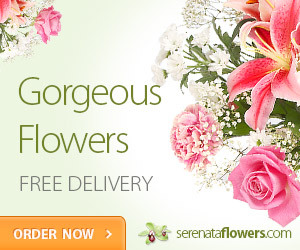 Remember To Show Mum How Special She Is With A Gorgeous Floral Bouquet. Beautiful Flowers for Mother’s Day – Pastel Blush Bouquet – A selection of pretty Spray Carnations in shades of pink and lilac alongside delicate white Freesias. Perfectly finished with white Gypsophila, this lovely bouquet makes a great gift for mum on Mothering Sunday. Don’t Forget To Treat Mum This Mothering Sunday with Flower Delivery She’ll Never Forget, Wherever You Are In The World. What Flower Symbolizes Mother’s Day? – Carnations Signify Purity, Faith, Love, Beauty & Charity. Carnations are the most gifted flower at Mother’s Day with pink carnations having the most significance. What is the Most Popular Flower for Mother’s Day? – Some of the most popular Mother’s Day flowers include lilies, orchards, tulips, roses, irises and callas. Although pink is a traditional colour favorite for Mother’s Day flowers, brighter, bolder color combinations are becoming the trend. Long-lasting Alstroemeria are beautifully complemented by Spray Carnations in purple, lilac and two-tone white and purple while delicate white Gypsophila provides the perfect finishing touch. Stunning Rose & Lily Bouquet for Mum! A stunning arrangement of pink Wham Roses feature alongside exquisite L’or du Roselily Isabella lilies. Finished with an array of Salal leaves and baby blue eucalyptus, it creates an eye-catching display.The L’or du Roselily Isabella can be found exclusively to Bunches. A double-headed variety, this Lily has hidden stamen, removing the risk of pollen stains commonly found with other Lilies.